hint: download with your browser, NOT your Facebook app. To design of the ensuing Discourse is to declare some part of that glory of our Lord Jesus Christ which is revealed in the Scripture, and proposed as the principal object of our faith, love, delight, and admiration. But, alas! after our utmost and most diligent inquiries, we must say, How little a portion is it of him that we can understand! His glory is incomprehensible, and his praises are unutterable. Some things an illuminated mind may conceive of it; but what we can express in comparison of what it is in itself, is even less than nothing. But as for those who have forsaken the only true guide herein, endeavouring to be wise above what is written, and to raise their contemplations by fancy and imagination above Scripture revelation (as many have done), they have darkened counsel without knowledge, uttering things which they understand not, which have no substance or spiritual food of faith in them. Howbeit, that real view which we may have of Christ and his glory in this world by faith, – however weak and obscure that knowledge which we may attain of them by divine revelation, – is inexpressibly to be preferred above all other wisdom, understanding, or knowledge whatever. So it is declared by him who will be acknowledged a competent judge in these things. “Yea, doubtless,” saith he, “I count all these things but loss, for the excellency of the knowledge of Christ Jesus my Lord.” He who does not so has no part in him. The revelation made of Christ in the blessed gospel is far more excellent, more glorious, and more filled with rays of divine wisdom and goodness, than the whole creation and the just comprehension of it, if attainable, can contain or afford. Without the knowledge hereof, the mind of man, however priding itself in other inventions and discoveries, is wrapped up in darkness and confusion. This, therefore, deserves the severest of our thoughts, the best of our meditations, and our utmost diligence in them. For if our future blessedness shill consist in being where he is, and beholding of his glory, what better preparation can there be for it than in a constant preview contemplation of that glory in the revelation that is made in the Gospel, unto this very end, that by a view of it we may be gradually transformed into the same glory? I shall not, therefore, use any apology for the publishing of the ensuing Meditations, intended first for the exercise of my own mind, and then for the edification of a private congregation; which is like to be the last service I shall do them in that kind. Some may, by the consideration of them, be called to attend unto the same duty with more diligence than formerly, and receive directions for the discharge of it; and some may be provoked to communicate their greater light and knowledge unto the good of many. And that which I design farther in the present Discourse, is to give a brief account of the necessity and use, in life and death, of the duty exhorted unto. The following treatise may be regarded as a series of Discourses on John 17:24. The subject is the Glory of Christ, as the representative of God to the church, – in the mystery of his Person, – in his office as Mediator, – in his exaltation on high, – in his relation to the church during every age of its history, – and in the final consummation of his work, when all things are to be gathered into a blessed unity, as the result of his mediation. The treatise is concluded by a statement of the difference between our views of the Glory of Christ as beheld by faith in this world, and as it shall be beheld by sight in heaven. It is not professedly a sequel to the work of the author on the Person of Christ; though, from some expressions in the Preface to these Meditations, they may be regarded in this light. Several of them are evidently an expansion of certain thoughts and views, of which the germ will be found in the preceding work. The two works are, indeed, so closely connected, that they have been often published together. It has been thought proper, therefore, to adhere to this arrangement in the present republication of Dr Owen’s Works. Mr Hervey thus expresses his admiration of this work: “To see the Glory of Christ is the grand blessing which our Lord solicits and demands for his disciples in his last solemn intercession, John 17: 24. 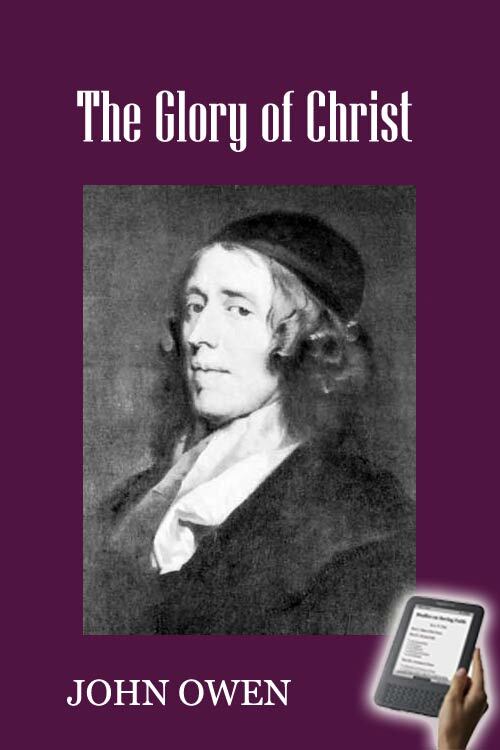 Should the reader desire assistance in this important work, I would refer him to a little treatise of Dr Owen’s, entitled ‘Meditations on the Glory of Christ;’ it is little in size, – not so in value. Were I to speak of it in the classical style, I should call it aureus, gemmeus, mellitus. But I would rather say, it is richly replenished with that unction from the Hole One which tends to enlighten the eyes and cheer the heart; which sweetens the enjoyments of life, softens the hours of death, and prepares for the fruitions of eternity.” – Teron and Aspasio, vol. 3 p. 75. The treatise was published in 1684. It was reprinted in 1696, with the addition of two chapters which were found among the papers of Owen, and in his own handwriting, though too late for insertion in the first edition of the work. Chapter 1. The Explication of the Text. Chapter 2. The Glory of the Person of Christ, as the only Representative of God unto the Church. Chapter 3. The Glory of Christ in the mysterious Constitution of his Person. Chapter 4. The Glory of Christ in his Susception of the Office of a Mediator – First in his Condescension. Chapter 5. The Glory of Christ in this Love. Chapter 6. The Glory of Christ in the Discharge of his Mediatory Office. Chapter 7. The Glory of Christ in his Exaltation after the Accomplishment of the Work of Mediation in this World. Chapter 8. Representations of the Glory of Christ under the Old Testament. Chapter 9. The Glory of Christ in his intimate Conjunction with the Church. Chapter 10. The Glory of Christ in the communication of Himself unto Believers. Chapter 11. The Glory of Christ in the Recapitulation of all things in Him. Chapter 12. Differences between our Beholding the Glory of Christ by Faith in this World and by Sight in Heaven – The First of them Explained. Chapter 13. The Second Difference between our Beholding the Glory of Christ by Faith in this World and by Sight in Heaven. Chapter 14. Other Differences between our Beholding the Glory of Christ by Faith in this World and by Sight in Heaven. First, in an Exhortation unto such as are not yet Partakers of Him. Secondly, Some will say, they know not how to proceed in this work. Thirdly, These things are necessary but not urgent. Fourthly, They must relinquish and renounce all their lusts and pleasures. Fifthly, They are no worse than some others. Chapter 2. The Way and Means of the Recovery of Spiritual Decays, and of Obtaining Fresh Springs of Grace.